A Turkish pro-government television channel has broadcast video showing men carrying suitcases purportedly containing the remains of Saudi journalist Jamal Khashoggi into the residence of his country’s consul-general in Istanbul. The footage broadcast by A Haber shows men carrying what it says were of five cases through the main entrance of the residence, a short distance from the consulate where Khashoggi, a leading critic of Saudi policies, was killed in early October. There was no immediate response from Saudi authorities to a request for comment on the footage. Khashoggi was a royal insider who became a critic of Crown Prince Mohammed bin Salman and began writing for the Washington Post after moving to the United States in 2017. Saudi officials have rejected accusations the Crown Prince ordered his death, however a CIA investigation concluded the Crown Prince was responsible for the crime that gained world-wide headlines. The murder sparked global outrage and damaged the international reputation of the 33-year-old prince — the kingdom’s de facto leader. Sabah reported the suitcases had been brought to the residence in a black minibus. 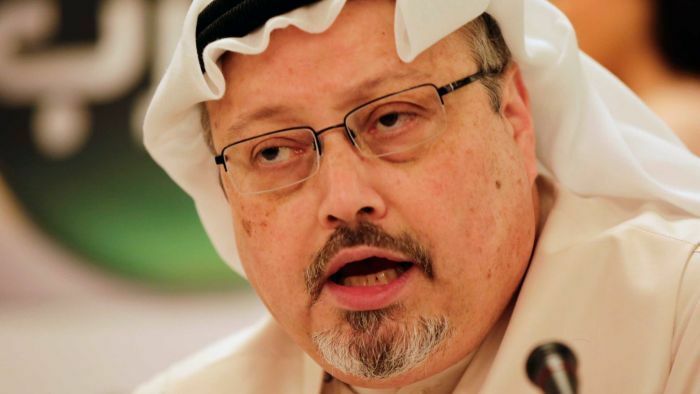 After offering numerous contradictory explanations regarding the fate of Khashoggi, Riyadh later said he had been killed and his body dismembered after negotiations to persuade him to return to Saudi Arabia failed. Khashoggi’s remains have not been found and Turkey has repeatedly demanded Saudi Arabia reveal where they are. In November, Turkish police searched a remote villa in a coastal area southeast of Istanbul as part of their investigation. Saudi Arabia’s public prosecutor’s office said last month it would seek the death penalty for five individuals, and that 11 of 21 suspects have been indicted and will be referred to court in Saudi Arabia. Turkish Foreign Minister Mevlut Cavusoglu said last week Ankara was working with other countries to take the investigation into Khashoggi’s killing to the United Nations. Is Instagram making Australian fashion bland, or saving its life?